When it comes to women, there is a great gift God has bestowed upon them: the boon of the womb. Only a woman can become a mother. Only the woman is empowered to bring a soul to Earth by rearing and nurturing the soul until the pre-destined time of birth. Only a woman can nourish the child with breast milk; a man can never do that. Women are privileged to assume the special role as a Creator, for which they have to bear responsibilities as well. So men have to appreciate and adapt themselves to the special responsibilities that women are endowed with. In our world at this time, something unique is beginning to unfold after years of darkness and suffering. The age-old practices of honouring the woman’s body as divine are joining together with the modern need to protect the environment. The emerging efforts to stop pollution can be seen across many different efforts, from planting crops that will not leech all nutrients from the soil to building energy efficient systems that do not use fossil fuels. When it comes to the needs of women, an enormous realisation has occurred—the plastic pads that we throw away during our periods every month are choking Mother Earth. The material in them is not bio-degradable and India’s environmental portal, Down to Earth, estimates that 432 million pads are disposed of every month in India alone. One of the remedies that has come about is a return to the use of cloth, though this time in the form of carefully stitched reusable cotton pads. 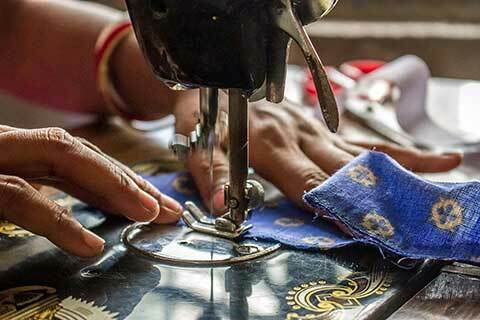 Because the income generation potential is enormous, Amrita SeRVe has started training women in our villages across India how to produce the pads so they can take that on as another way to earn money. The pads have been given the brand name Saukhyam—Sanskrit for happiness and well-being—and have many advantages. They are good for health because the cotton allows skin to breathe. They are good for wallets because they can be used over and over again for several years. They are good for the environment because they are eco-friendly. 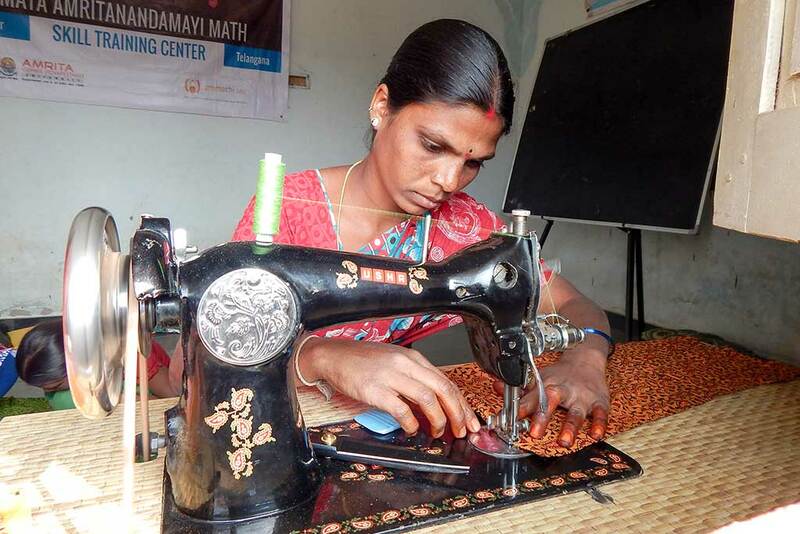 Finally, they are good for our village women because they are creating a path to income generation and self empowerment. Basically, it’s a win-win situation for all. As our production trainer, Rupali Kore, travelled across villages in the North-West recently and met women who wanted to learn how to make the pads, she was surprised at the enthusiasm. In general culture, a woman’s period is something that has taken on a lot of taboo and even shame. Despite that, all her students were ready to learn. In Kodur, Telangana for example, the women already had orders for hundreds of pads before training even started. And so it was, Rupali and the women sat themselves on the ground in a circle. She folded the new, soft cotton fabric into two layers. She placed the pattern of the pad on top and drew the lines for cutting. The women carefully followed her instructions and after the example was complete, the women began stitching their own. 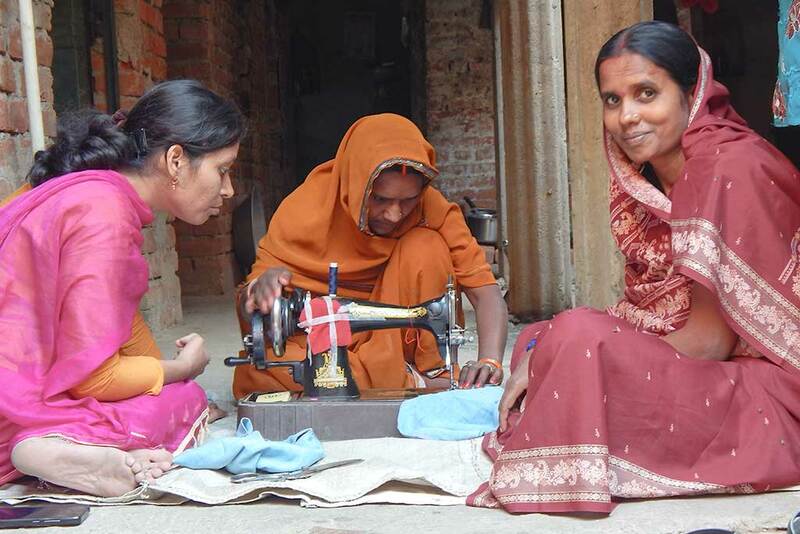 Rupali reports that the women in the Kodur class learned especially fast. By the end of five days of training, 100 pads were complete. In our villages, we have made another small start. We hold awareness sessions with teenage girls to talk about how to wear and care for the pads. Then we discuss how to manage their daily affairs during menstruation. We tell them that if they feel well and have some form of pad to wear at school, then no problem. After that, the floor is opened to any question they have on their minds and information is shared freely. For some of them, it is the first time they have ever been able to talk about their periods, so they are shy at first. But by the end of the sessions, most do feel some support and relief. To find out more about Saukhyam Reusable Cloth Pads, email saukhyampads@gmail.com.